Following in the footsteps of corporate giants Apple, Facebook, Google and Spotify, on Friday PayPal said it was is terminating its relationship with Alex Jones and his website, Infowars. In a statement, PayPal said that after an extensive review of Infowars and its related sites the company "found instances that promoted hate or discriminatory intolerance against certain communities and religions, which run counter to our core value of inclusion" although it declined to cite specific examples of Infowars’s problematic behavior. After PayPal notified Infowars of its decision on Thursday, the site accused PayPal in a blog post of a "political ploy designed to financially sabotage an influential media outlet." It added that PayPal had given it 10 days to find a new payment platform, after which PayPal’s services would no longer function. After learning of the imminent ban, Infowars supporters began urging the site to accept bitcoin. PayPal's decision is only the latest crackdown against the controversial blog: last month, Jones’s podcasts were removed from iTunes after Apple said it did not tolerate hate speech. YouTube then took similar enforcement steps against Infowars, saying Jones had “repeatedly” violated its terms of service, according to the WaPo. And while Twitter initially resisted banning Jones, after a few days of pressure from the media and its peers, it too removed him from its platform earlier this month with a permanent suspension. There may have been another reason: Twitter’s decision to ban Infowars came hours after Jones appeared at a high-profile congressional hearing involving Twitter's Jack Dorsey and Facebook COO Sheryl Sandberg. 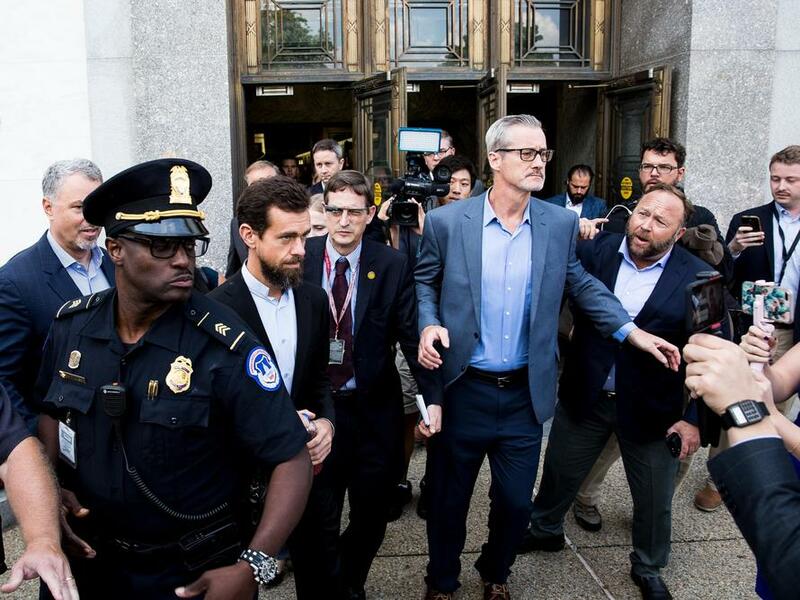 Afterward, Jones tried to confront Dorsey as he was exiting the Senate office building where the hearing was held. PayPal’s decision to remove Jones hits him where it will probably hurt his business the most: his wallet. Will the PayPal ban hurt InfoWars? 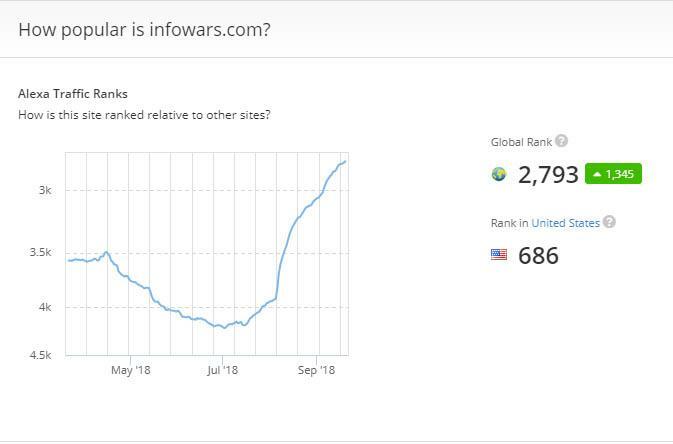 According to WaPo, "last month, roughly 1.15 million visitors logged onto Jones’s online storefront, Infowarsstore.com, Jonathan Albright, the Tow Center’s research director, told The Post’s Craig Timberg in a recent interview. Of those, more than 60 percent went to PayPal after visiting his digital shop, implying that Jones is effective at converting visitors into paying customers." As for whether the recent publicity has hurt the website's traffic, for now - at least - all the bans appear to be backfiring.